Claire McCaskill reads her unapologetic memoir of how she went from Missouri mom to become the state's first female Senator by embracing her ambition, surviving sexists' slings, outsmarting her enemies, and finding joy along the way. Claire McCaskill grew up in a political family, but not at a time that welcomed women with big plans. She earned a law degree, and paid her way through school by working as a waitress. By 1982 Claire had set her sights on the Missouri House of Representatives. Typically, one voter whose door she knocked on said: "You're too young; your hair is too long; you're a girl....Go find yourself a husband." That door was slammed in her face, but Claire always kept pushing—first as a prosecutor of arsonists and rapists, and then all the way to the door of a cabal of Missouri politicians that had secret meetings to block her legislation. 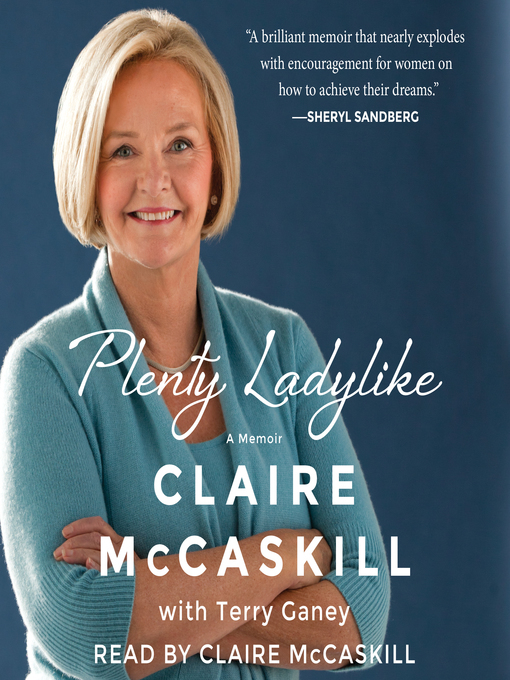 In this candid, lively, and forthright memoir Senator McCaskill describes her uphill battle to become who she is today, from her failed first marriage to a Kansas City car dealer—the father of her three children—to her current relationship with a Missouri businessman, who she describes as "a life partner." She reveals every aspect of her ups and downs with Bill and Hillary Clinton and her decision to endorse Barack Obama's candidacy. It was her daughter, Maddie, who put Claire on the spot at a time when Claire wasn't sure what to do. From the day she was elected homecoming queen in high school to her long shot reelection as Senator after secretly helping to nominate a right wing extremist as her opponent, Claire has loved politics and winning. Her memoir is unconventional: unsparing in its honesty, full of sharp humor and practical wisdom, and rousing in its defense of female ambition.